Are you looking for a way to shed those final few pounds and really tone your body? Have you tried the traditional routes of dieting and exercise and still aren’t getting the results you want? It could be that you just need a little extra help in the form of a sauna suit. A sauna suit uses the same theory as a regular sauna in that when you sweat, you are able to increase your metabolism and thereby lose weight. By wearing a sauna suit there is no need to visit an actual sauna, and you can still go about your regular activities, all while working up a sweat and increasing your metabolism. A simple search online will easily yield all kinds of results for these sauna suits, which can leave you feeling a bit confused as to what is best for you and your goals. In this article, we’ll take a look at some tips that can help you pick the right sauna suit for your body. The material is what gives the sauna suit its effectiveness, so that means you want to be really picky when it comes to the fabric. With that said, neoprene is the most effective of all the materials. The problem with nylon is that it can harbor bacteria, which can then spread on your body. With PVC, the material itself is not very high quality or durable, which means you won’t get much of a lifespan out of it. As well, PVC and nylon trap the heat, which can be dangerous and lead to overheating. Neoprene is a synthetic rubber fabric that is able to stand up very well to high heat. What this means is that it will retain its flexibility and shape, and not break down. Not only that, but neoprene still allows your skin to breathe. It’s also a good idea to look for reputable brands with a proven track record. You want to know that it’s not some fly-by-the night company and that they are using high-quality fabric and durable construction of the sauna suits. Most people want to be able to exercise in their sauna suit, so that means it has to be strong enough to handle movement and activity. 3. What Pieces Do You Want? You will also want to think about what pieces you want as your sauna suit. Take, for example, this Kewlioo sauna suit collection where you can choose from vests, t-shirts, waist toners, a full suit, shorts, and shirts. This sort of selection lets you customize how you plan to wear and use the suit. Remember that doctors recommend losing one to two pounds maximum per week. Any more than that isn’t safe or healthy for you. This means you need to set your expectations accordingly. As well, you want to be sure you aren’t going overboard with your suit. Wearing it outdoors on an extremely hot day, being physical, and not staying hydrated can be extremely dangerous. Hydration is key when you are sweating. By following these tips, you’re bound to pick the best sauna suit that not only meets all your needs but is also built to last. You’ll be able to go about your regular exercise and start boosting the results. 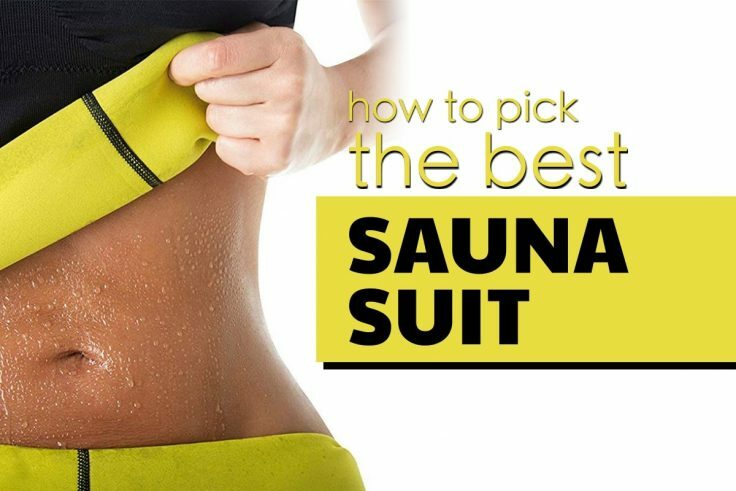 Hopefully, these tips will help you pick the best sauna suit for your body type, your goals, and your current health and fitness level.